At Skokie Windows, we believe in practicing the simple philosophy of “Less but Best!” That’s why we specialize in one thing and one thing only – WINDOWS. Unlike other companies, we don’t spread ourselves thin by casting a wide net of home improvement products and services. By focusing on what we do best, we are able to put all of our experience and expertise in providing the highest quality windows and expert installation. This is how we ensure the long-lasting value of our work and give you peace of mind knowing that your new windows are in the hands of SPECIALISTS. Skokie Windows takes great pride in not just bringing you the very best window replacement products and expert window installation, we want to provide you with all-around great service. Our mission is to make your window replacement experience as pleasant as it can possibly be and have you enjoying your new high quality windows in no time. Getting new windows for your home shouldn’t be a difficult or stressful experience and at Skokie Windows, we’ll see to it that it’s far from that. From your initial consultation, to your windows selection, through the very last window installation, you’ll be very pleased with the process. Not necessarily looking to do a complete Window Replacement and/or Installation project? Are you only looking to do a single Window Repair? At Skokie Windows, there is no job too small or too big for us to handle. Our main goal is to meet the needs of all our customers no matter the size of the project. Whether it is a broken window repair, window frame repair, window encasement repair, let us repair and restore the look and condition of your existing window. Our team of Window Repair Professionals will extend the life span of your windows with the right and necessary repair. In addition to all of our different window selections, we can further customize your windows to your specifications. We can enhance your windows with various different options such as type of glass, grid styles, colors, finishes and more. ​Our energy efficient windows will seal in the heat during cold winters and keep in the cool air during hot summers. Making your home a comfortable and relaxing space, no matter what the seasons bring. ​We may not be able to control your overall cost of living, but we sure can help lower your utility bills to a more manageable amount. With our energy efficient windows, your pockets will also feel the difference. ​There is no better feeling than to feel safe and secure in your own home. Our safety-lock windows and rock solid installation will keep all of your openings secure and give your home that added layer of security. 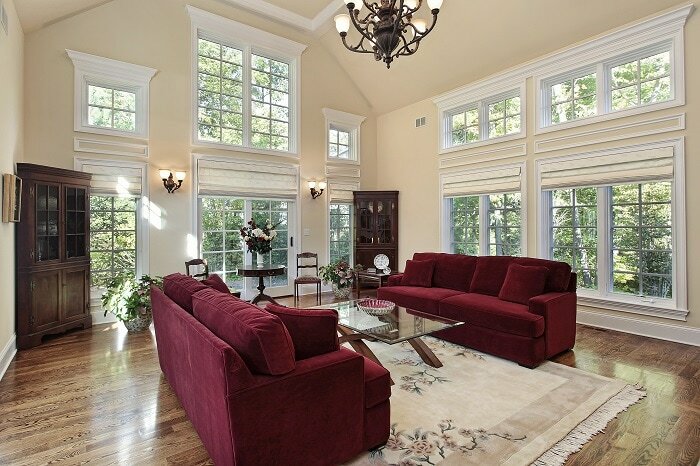 ​Installing new windows in your home can generally increase your home value considerably. By replacing your old windows with our high quality windows, your home value can possibly increase by up to 10%. 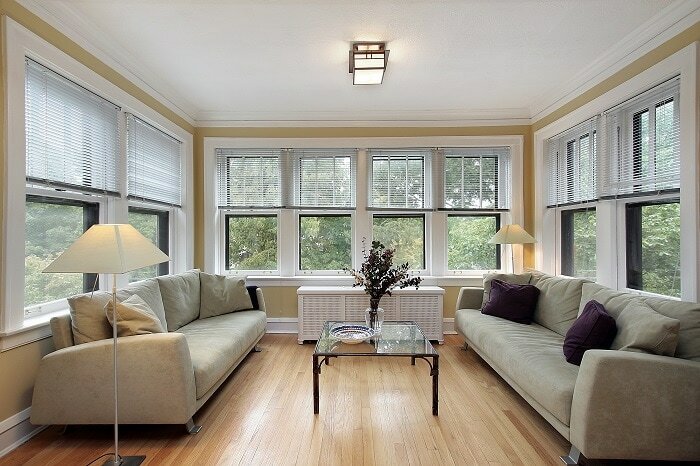 ​New windows have a way of giving a home a fresh and vibrant appearance. It can literally make an old home look like it has been fully renovated. At Skokie Windows, we call this the ultimate window makeover! ​Making your home more attractive, efficient and secure are just some of the many benefits of new windows. By installing easy to clean windows, you will spend much less time cleaning and much more time enjoying. Spending a fortune on quality home windows is not only unreasonable, it is unnecessary! At Skokie Windows, we make it possible for you to have high quality windows at affordable prices that fit your specific budget. Whether you are replacing all of your windows at once or plan to work in phases, we will work with you. Together, we will strategize with you and put together a financial plan that works best for you. And, all while still hitting 2 birds with one stone – (1) making it affordable and (2) not compromising any of the quality in our product or our high level of service. Our Skokie Windows Team is one big family fully dedicated to bringing you the very best experience and value in your window replacement project. Our sales staff is very knowledgeable and is ready to answer all of your questions every step of the way. Our window installation specialists are trained experts who will ensure the job is done at the highest professional level – the first time. We have a very effective streamline system that will guide you step by step in the entire process where our teamwork is driven by a commitment to complete customer satisfaction. At Skokie Windows, we fully understand that you have many options to choose from when deciding on a window replacement company. We also understand that at the end of the day, it all comes down to TRUST. Who can you trust to deliver the highest quality windows along with the best installation? Who can you trust to provide the most variety of window selections for the most affordable prices? Who can you trust for the best shopping experience delivered with the highest level of customer service? This can obviously be a hard decision for you to make. Yes, decisions… decisions… decisions. Our promise is actually a simple one: We promise to do what we always do for all of our customers. We promise to treat you and your window replacement project with the utmost level of attention and professionalism. When it comes to our customers, there is no detail too small and no request to big. We promise to listen to all of your wants and needs, and aim to meet all of your expectations. Who knows, we may possibly surpass your expectations and over deliver on our promise. Give us the opportunity to earn your Trust and we will do everything to not just earn it, but keep it for years to come!